Burundi’s extreme poverty is largely due to the fact that more than 90 percent of the population is on subsistence agriculture—and the agriculture sector has one of the lowest productivity rates in the world. DAI supported Burundi’s efforts to respond to changes in the world agricultural market that occurred in the 1990s, when Burundi was mired in crisis, and to revitalize the country’s agricultural sector. BAP developed agro-enterprises that raise rural incomes; diversify economic opportunity; strengthen competitive, commodity-based value chains that link producers to domestic, regional, and international markets; and stabilize the country so it does not relapse into chaos and bloodshed. Facilitate the state’s disengagement from the main agribusiness value chains and create a new value chain architecture that draws on the strengths of small farmers and the private sector. Reacquaint Burundians with an international market that has evolved considerably in the past 13 years. Defuse the potential for conflict rooted in four decades of cyclical turbulence. Overcome serious structural and environmental challenges. Rebuild from the decapitalization that occurred during the civil war, in terms of both rural household assets and value chain infrastructure. 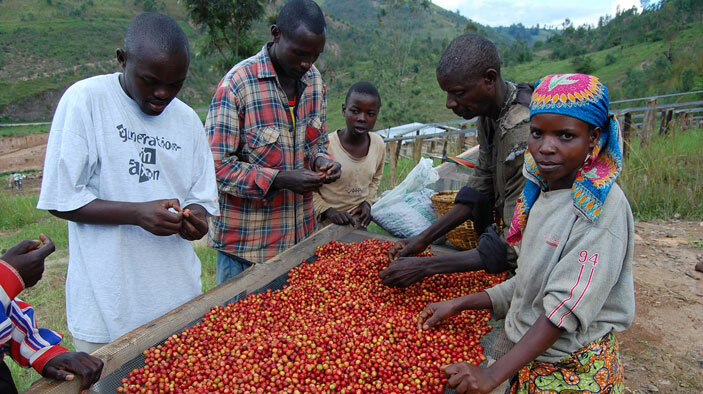 Train coffee producers and enterprises in collaboration, quality standards, and post-harvest handling procedures. Examine financing options, strengthen agricultural associations, and support initiatives that resolve land disputes. In one quarter alone, 85 demonstration sites showed excellent results with a minimum jump in coffee productivity of 20 percent when soil amendments were added versus traditional practices. In the same quarter, further soil amendments led to less rejection of coffee arriving at the washing station, reducing rejection during the flotation/selection process from an average of 23 percent under traditional control to between 9 and 13 percent for the fertility treatments. In women’s leadership, producer association development, and promotion of microenterprises 122 literacy centers remained open. Seventy percent of women who began the literacy cycle finished and are thus able to read, write, and perform simple calculations.